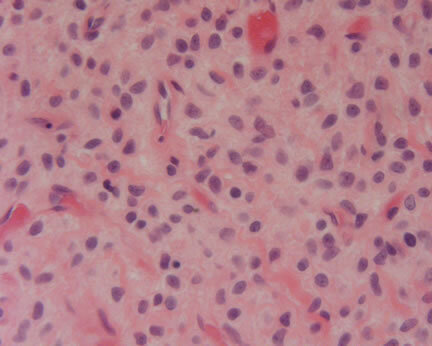 Image 1-In some areas, the tumor is composed of cellular nodules admixed with areas of hyalinization. In other foci, prominent bone formation is noted. 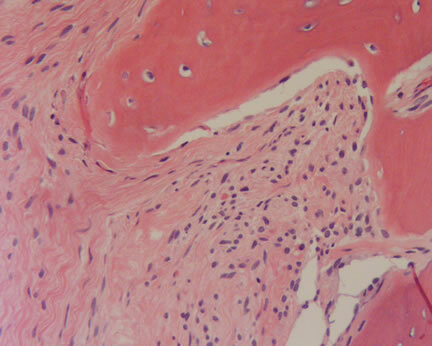 Image 2-On higher magnification, the spindle cells merge with areas of mature bone formation. 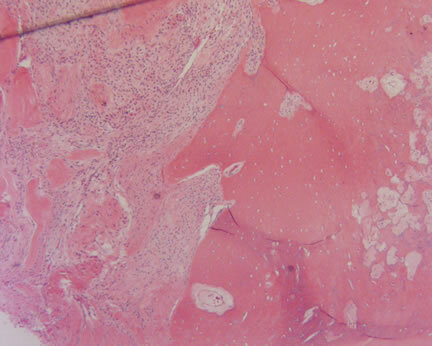 Image 3-A higher power magnification reveals minimal cytologic atypia of the spindle cells and benign bone formation. 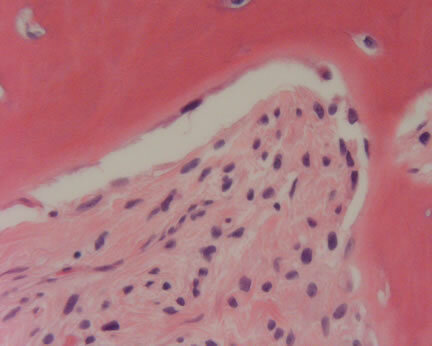 Image 4-Another focus shows the spindle cells merging with areas of hyalinization. 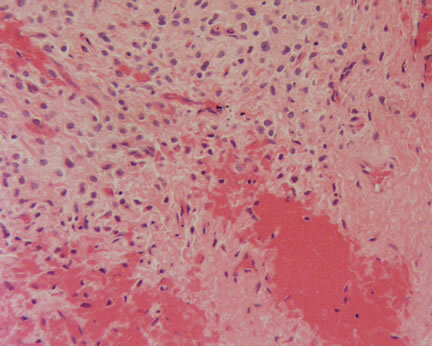 Image 5-Highest magnfication reveals cytologic blandness of the spindle cells. This is an occipital scalp lesion arising in a 49 year old man. There is a vague history of trauma at this site a few months earlier.